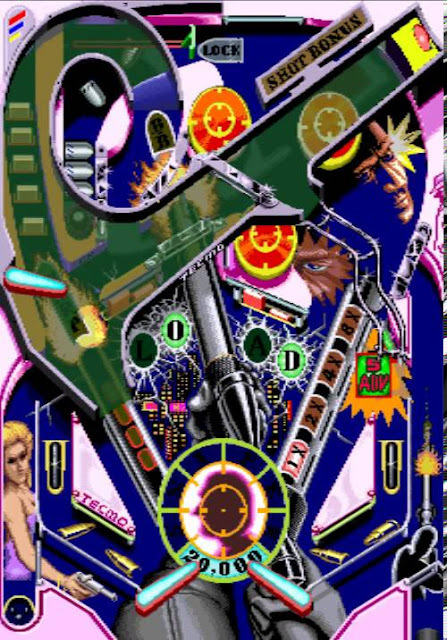 It's been a while since I did a retro reflections piece, but I've been playing Super Pinball Action quite a lot in recent weeks, so I thought I would write a little thing about it. Super Pinball Action was an arcade game that came to us from Tecmo, back in 1991 (before the merge with Koei), and it was... well, eye opening for the same reason that Tecmo itself has had a reputation over the years. Tecmo was known for unashamedly adult-themed games, especially with regards to its arcade output. The Ninja Gaiden arcade game was infamously violent, with a "Game Over, Continue?" screen that features a torture scene in which a circular blade descends on Ryu as the timer counts down. Super Pinball Action, meanwhile, was notable because it... well, it featured stripping. There are four tables to choose between with Super Pinball Action, each of which was represented by one lady (well, three tables do. The fourth has two women). The tables themselves were fairly standard pinball layouts, but if you completed certain objectives on the table, your reward would be a lady in an increasing state of undress. By 1991 standards, the art was very decent, so the reward was of a significantly higher caliber than many of the other pervy strip games that proved to be so incredibly popular in those glorious old days of the 90s. I didn't play Super Pinball Action until much later on (I wasn't even a teenager when this game came out, after all), but in hindsight this game was very much emblematic of what Tecmo was as a company; it made high standard games, with quality mechanics and design, and then threw ridiculous adult elements over the top. Super Pinball Action is a quality pinball game that holds up impressively well today. 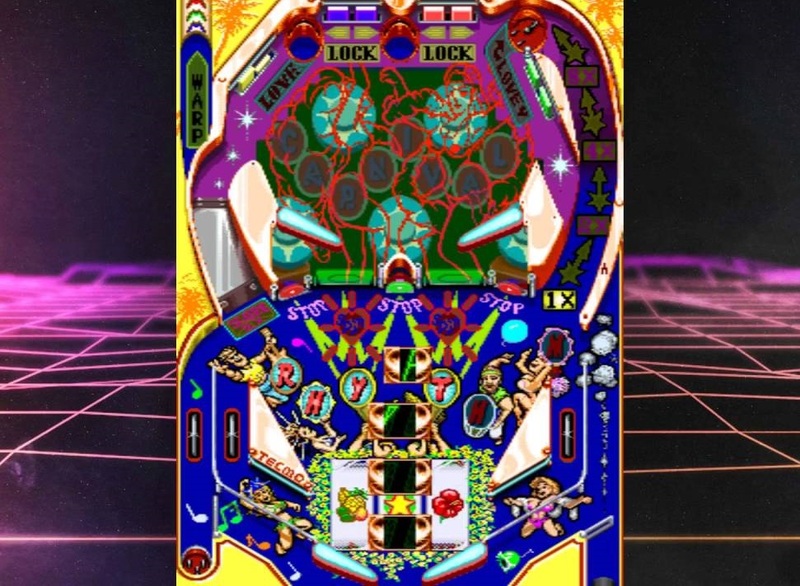 Video pinball has a habit of aging terribly because, as physics engines improve, players have difficulty going back to older titles, but the way the digital ball rolls around Super Pinball Action's tables remains precise enough to be enjoyable, and the designs of the tables hit a perfect balance between rocketing the ball around fast, and giving you plenty of targets to aim for. Five years later, Tecmo would develop and publish the first Dead or Alive and Deception titles, both of which became poster-children for Tecmo's ability to combine quality mechanics (fighter and spatial puzzle game, respectively) with extreme adult elements. An amusing quote regarding another Tecmo game, this time from 2005, called All Girl Wrestling, came from Gamespot and read: "From what we've seen so far, the game is coming along nicely and is certainly doing its part to maintain Tecmo's "Our girls are better than your girls" theme from E3 this year." To this day, within the broader Koei Tecmo group of companies, it's the stuff that the Tecmo side works on or comes up with that tends to get pinged with the criticism for the way it handles its material. And that perhaps underpins why it was surprising that Koei Tecmo announced that Dead or Alive 6 would be pulling back on the "sexiness". It's a claim I'm still not sure I believe - this week at Gamescom Lei Fang's character reveal and costume certainly allayed some of those fears, and the presence of a tentacle some more - but nonetheless it was a statement the developer made about the game, and it was surprising. Not just because it seemed to fly in the face of the heritage of the Dead or Alive series in isolation, but also the entirety of Tecmo and all the franchises that it has brought the Koei Tecmo business. If it turns out to be true that Dead or Alive 6 is doing away with its more adult elements, it would almost be possible to make the argument that the heritage of Tecmo, the company, was slowly being filtered out of the merged company. It's been enough years now for the combined entity to be developing its own personality to replace the individual companies that it absorbed, after all. Playing Super Pinball Action reminded me of that; Tecmo has always been about the nonsense sexuality. And, given the recent resurgence of interest in pinball video games, as well as the (potential) need to put the sexiness back into the Dead or Alive franchise... why not give us a Super Pinball Action: Dead or Alive edition, Koei Tecmo? Dip back into that catalogue of yours, because this game is a genuine forgotten gem. I'll even give you the four table "themes" for this hypothetical new game: Marie Rose, Kokoro, Hitomi and Lei Fang. You're welcome.